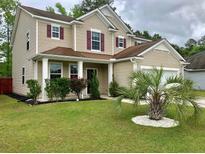 Find Summerville, SC Homes for sale. View Photos, Maps and MLS Data Now! Heart of pine flooring, 10'' baseboards, and heavy moldings are impressive. A comfortable family room/den, MLS#19011423. Re/Max Pro Realty. Walton Grove - A horse stable (storage room, stall and run-in shed) is in the larger of 2 pasture are MLS#19011420. View Properties. The secret to having clutter-free homes is having storage in all the right places like optional built-in lockers in the drop zone and two large walk-in closets in the shower and dual vanities. *Gate code required. MLS#19011438. Carolina One Cane Bay/ Nexton. The back yard is fenced with a crushed stone patio. MLS#19011437. Carolina One Real Estate. Cane Bay Plantation - Tons of new upgrades; Hardie plank siding, gutters, 5 1/4 baseboards, tankless gas water heater, 42'' cabinets with SS appliances, granite countertops, hardwood flooring in foyer, kitchen/breakfast room/ and powder room; tile in all full baths and laundry and much more. *Proposed Construction* MLS#19011372. Beazer Homes. White Gables - This home includes many upgrades that our expert designers have chosen! MLS#19011373. Crescent Homes Realty Llc. Blackberry Creek - You'll love the curb appeal and easy-to-maintain landscaping at your new home! ! MLS#19011434. Brand Name Real Estate. Upstairs you will be amazed at the huge master suite, with walk-in closet and tray ceiling. MLS#19011341. Carolina One Real Estate. Arbor Walk - The Large Master Bedroom is tucked in the back of the home, MLS#19011354. Keller Williams Realty Charleston West Ashley. The remaining secondary bedrooms are the perfect size for a growing family. MLS#19011418. Re/Max Alliance. Brookwood - Top all of these upgrades off with a full MLS#19011405. Bhhs Southern Coast Real Estate. Upstairs there are three more large bedrooms, all with great closet space! MLS#19011345. Re/Max Alliance. Home could be a doll house! MLS#19011426. Johnson & Wilson Real Estate Co Llc. 5 minutes to I26 & Nexton Pkwy, short drive to Azalea Square & Historic Downtown Summerville shopping and dining! MLS#19011363. Century 21 Properties Plus. Waring Hall - With some cosmetic updates this will make a great home in a great location! MLS#19011357. Realty One Group Coastal. Sangaree - This is a great find in a great location! MLS#19011377. Carolina One Real Estate. There is ample parking and a fish pond next to the home for relaxing and quiet enjoyment. MLS#19011304. Palmetto Group Of Agentowned. 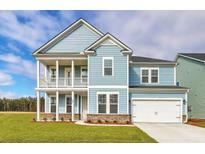 Carnes Crossroads - This Is A Must See Better Than New Construction! MLS#19011192. Bhhs Carolina Sun Real Estate. Carnes Crossroads - Come see for yourself all this home has to offer in a lifestyle community you will love! MLS#19011217. Carolina One Real Estate. Cane Bay Plantation - Not to mention, neighborhood pool, play area and covered picnic area just around the corner. MLS#19011199. Carolina One Real Estate. Reminisce - Three additional bedrooms upstairs along with a hall bath. MLS#19011238. Carolina One Real Estate. The open kitchen over boasts stainless steel appliances MLS#19011334. Re/Max Alliance. This home is perfect for all families! Come schedule a showing today. MLS#19011283. Healthy Realty Llc. Bridges Of Summerville - New roof, fresh paint living r, some new plumbing fixtures. Welcome Home! MLS#19011256. Welcome Home Realty.